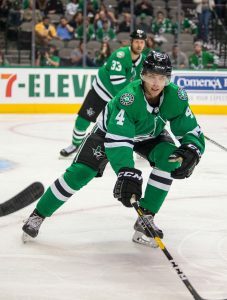 Dallas Stars head coach Jim Montgomery was hoping for a more impressive performance Saturday against the St. Louis Blues. He spoke to the players about the importance of coming out strong against St. Louis in the second game with them in five games. Instead, the team didn’t come out at all and suffered a disappointing 3-1 loss, frustrating the head coach to no end as the team, according to NHL.com’s Mike Heika. The team was already coming off a disappointing loss to the struggling Philadelphia Flyers on Thursday as the team looked uninterested throughout much of the game. The team hired Montgomery to turn the franchise around and develop a talented team into a constant playoff threat, but the team has been quite inconsistent despite being third in the Central Division with a 23-19-4 record for 50 points. 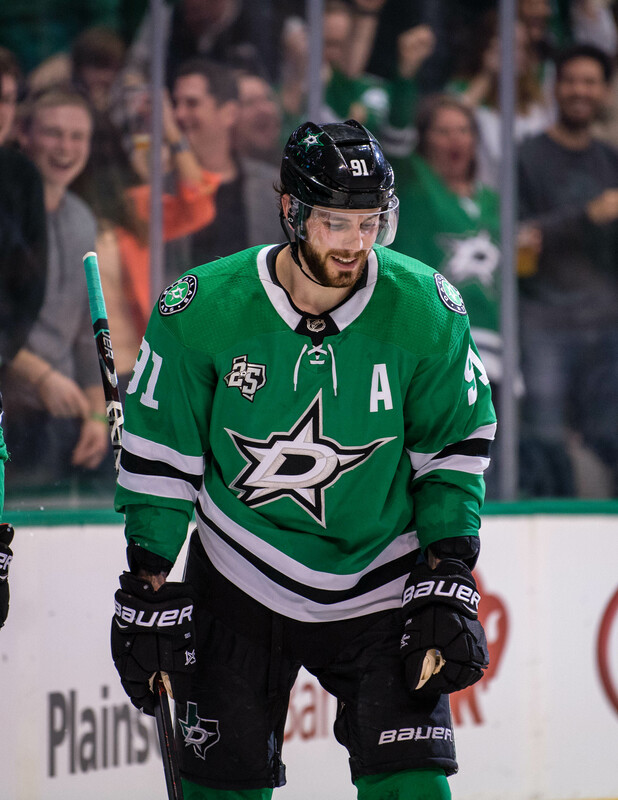 Unfortunately, six teams are within five points of them in the Western Conference, so there is no guarantee that Dallas will even make the playoffs. Ken Wiebe of the Winnipeg Sun reports that Winnipeg Jets head coach Paul Maurice said that if defenseman Tyler Myers continues his progress, the veteran defenseman could be an option to return to the lineup Tuesday against Vegas. Myers missed Friday’s game against Detroit with a lower-body injury and is not expected to play tonight against Anaheim. The 6-foot-6 Myers is an instrumental figure in the team’s defense, especially while the team is without Dustin Byfuglien. Mike Russo of The Athletic (subscription required) writes that if anyone is going to need a break when the all-star game hits, it will be the Minnesota Wild’s Eric Staal, who has really looked slow lately and is in one giant rut. The 34-year-old forward, who could end up being a potential trade candidate as the trade deadline nears, struggled throughout the game Saturday against Detroit and continues to commit multiple turnovers. He has just one goal in his past 13 games and has just 13 goals at the midway point in the season. The Department of Player Safety announced they have fined Nashville Predators forward Ryan Hartman $1,000 for spearing Boston Bruins’ Chris Wagner Saturday with less than a minute left in the second period. Hartman has been in trouble with the Department of Safety before as he was suspended for one game on Apr. 19 for an illegal check to the head against Colorado’s Carl Soderberg and then was fined for $2,320 for slashing Brayden McNabb in Oct. of 2017 against Vegas. The Chicago Blackhawks may get a better idea today of where starting goaltender Corey Crawford is at after he sustained another concussion on Dec. 16. According to NBC Sports’ Charlie Roumeloitis, head coach Jeremy Colliton confirmed this morning that Crawford was in the building, but still hadn’t talked to the coach. “As far as I know he’s still in the protocol. He is here, so that’s a positive,” Colliton said. Crawford missed quite a bit of time when he suffered a concussion last year in December as he still wasn’t ready to return at the start of this season. The team hopes Crawford can return much earlier this time. John Dietz of the Daily Herald reports that defenseman Brandon Davidson says that he should be ready to return to the Blackhawks lineup in 7-10 days. The blueliner underwent surgery on Nov. 27 on his right knee and was expected to be out for six to eight weeks, which suggests he could be ready at the six-week mark. The 27-year-old has only appeared in seven games for Chicago this year. 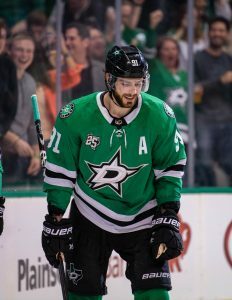 The Dallas Stars may have lost one of their own Saturday when forward Jason Dickinson was forced out of the second period of Dallas’ game against Minnesota with an upper-body injury, according to NHL.com’s Mark Stepneski. Head coach Jim Montgomery said that Dickinson was doubtful for their game today against the Islanders. The 23-year-old has been a mainstay for Dallas on the bottom-six as he has five goals and 11 points in 34 games. Despite winger Patrik Laine finding himself on the fourth line for a second straight game, Winnipeg Jets head coach Paul Maurice came to his player’s defense today. The 20-year-old Laine has just one even-strength point so far this season, prompting Maurice to swap Mathieu Perreault with Laine on Friday in their 2-1 win over Detroit. The move had few ramifications towards Laine’s numbers as he still managed to play 17:08 throughout the game. Yet the coach was quick to defend him. Sticking with Jets, the Winnipeg Sun’s Ted Wyman reports that the recall of Tucker Poolman is expected to be the last roster move before the team travels to Finland for their two-game global series with the Florida Panthers. That means that 19-year-old Finn Kristian Vesalainen, the team’s 2017 first-rounder, won’t be going on the trip then as he remains with the Manitoba Moose of the AHL. He has four assists in two games there, but still hasn’t been brought back to Winnipeg.